Mediaset and ProSiebenSat.1 have strongly denied press rumours that emerged last week that they are in talks about a possible merger. The Italian broadcaster issued a statement that “no negotiations are underway” with the German media group. ProSiebenSat.1 CEO Max Conze meanwhile told Reuters that he saw “no industrial logic” in such a combination. Conze told Reuters that his company was working with a number of European peers, including Mediaset as part of the European Media Alliance, the network of 12 broadcasting groups that has agreed to collaborate on certain areas including streaming and advertising technology. Rumours about a possible merger had been fuelled by comments made earlier this month by Mediaset chairman Fedele Confalonieri. Confalonieri told press that a cross-border deal was still being studied but that it was not just up to Mediaset to create such a combination. There has been ongoing press speculation about Mediaset’s intentions with regards to a cross-border merger. In January, Italian financial daily Il Sole 24 Ore reported that the broadcaster was looking to consolidate ownership of its Spanish operation as the first step in a strategy to create a pan-European broadcasting powerhouse to combat the likes of Netflix and Amazon. The CEOs of ProSiebenSat.1, Mediaset, the UK’s Channel 4, Greece’s Antenna Group, Portugal’s Impresa Group and TVN Discovery Poland last week reiterated their commitment to use the European Media Alliance as a joint platform for joint initiatives in video streaming, technology, and monetisation. Separately Mediaset has cancelled the sale of its digital-terrestrial platform operation, R2, to Sky Italia after regulator the AGCM declined to grant unconditional approval for the deal. The sale was agreed as part of Mediaset’s wider agreement with Sky singed in 2017 that saw Mediaset make its pay TV services available on Sky’s platform and gave Sky access to its digital-terrestrial TV platform. 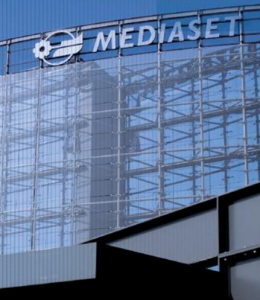 Sky has now asked Mediaset to continue to provide digital-terrestrial TV platform services to it on a non-exclusive basis until the end of June next year, which Mediaset has agreed to.